The well-known statement, if you fail to plan you are really planning to fail, is the core message to the audience in this presentation. Did you know over 97% of people in business do not have a written plan for their goals? It is true that people spend more time planning their child’s wedding or summer vacation than they do on their own career. This presentation will help you create goals for yourself at a pace that is customized to fit you and not a one size fits all. You will learn how to set goals that are attainable, hold yourself accountable and increase your personal productivity. Van will use his experiences of setting written goals to help you accomplish whatever your objectives are. Van calls this his FUNdamental course of how to increase market share by just making some simple adjustments in your daily schedule. You’re not here to be average, you are here to be incredibly awesome! This powerful, one-of-a-kind presentation will teach you how to change your mindset from “being average” to becoming a “driven champion”. Van wants you to leave this presentation completely motivated just by the fear of being labeled average. Van believes that if you have people in your life that are depending on you like your kids, spouse, family, supervisor or co-workers then you are obligated to perform at an above average level. This is a must-experience course for those that need to see how life will be much more enjoyable and enriched when people make a decision to step it up. To have the attitude that you are unstoppable, you first have to have a passion for what you do. This presentation is designed for people who LOVE their career and want to be the BEST they possibly can in their industry. 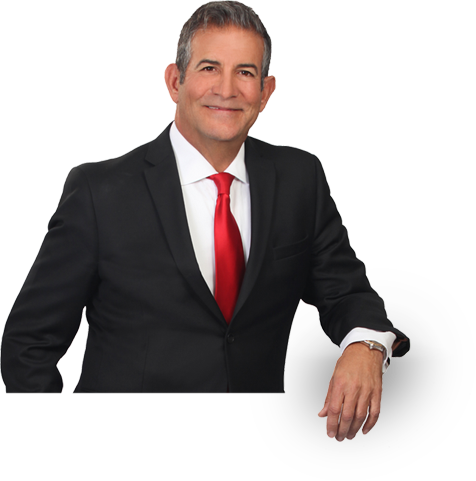 In Van’s 35-plus year career he would start out most mornings by looking in the mirror saying, “Today I will be unstoppable!” This presentation will show you how this type of attitude will not only benefit you throughout the day, it will also benefit everyone you come in contact with. Van will discuss the 5 characteristics of people who want to be unstoppable and will get you motivated and inspired to settle for nothing less. This presentation is perfect for highly motivated people that want more! Everyone likes to do business with and buy from an expert. However, before you can call yourself an expert you have to act like one. Brand Yourself as an Expert is an easy-to-follow, step-by-step course on how to make everyone you know consider you an expert in your industry. It doesn’t matter if you have been in your career 1 year or 50 years, Van will give you the dialogue and positive attitude that will have your clients gravitating to you. Van’s customers, throughout his entire career, considered him an expert because of what he said and what he did. Success comes to those who have an attitude they believe they are the best. You will be on your way to being an expert after sitting in on this fun presentation. Striving to be the best you can possibly be is the most important aspect of being successful in your career. Personal Enrichment: How to Bring Out the BEST Version of Yourself is a presentation that will be a game-changer in your life. You have control of your actions, your attitude, and your decisions and you have control to make these changes in your life NOW! Once you make a decision like Van did early in his career to bring out the best version of yourself everything will change for the better. Van will cover everything from how to transition from where you are now to this enriching mindset and how to maintain it. This was not an overnight process for Van to eliminate all the negatives from his life to make room for success; it was a journey and still is today. You will know exactly what to do bring out the very best version of yourself after attending this presentation. Van is known for bringing out the best in each person and he will help you stay excited with proven techniques that will continue to motivate you long after the presentation is over. This presentation is needed more today than ever for business owners, management, service and sales people. Van always says he is extremely fortunate to have a skill set of knowing how to be frugal and spend less to achieve the same results in building a business. He owes it to common sense practices and trial and error. Van has mastered the art of low overhead and high profit and he wants to share his secrets with you in this presentation. You will learn how to get more customers with a low cost per client acquisition. Van entered his industry with $500 to his name and 10 years later started a businessout of his basement by himself and grew it to 350 employees! You will enjoy this presentation about Van’s journey that will incorporate all he learned about building a successful business on a budget. If you are in business to build relationships that last a lifetime and to make money, this will get you there! Van recognizes that every customer is different, so why should every speech be the same? Van is known for his high level of tailoring custom speaking engagements to meet the individual needs of his clients. Whether it’s about leadership, sales, service, or individual performance, it’s about turning the ordinary into the extraordinary. Van designs each custom speaking engagement to meet your objectives and to reinforce the objectives of the entire meeting. He has the ability to integrate his message into the rest of the meeting or conference. This means your audience members benefit from the synergy of all the presentations they hear, and reinforces the hard work you’ve done to plan an effective event. How Does Van Create His Custom Speaking Engagements? First, Van gathers information to help him understand your objectives, your organization, the people in the audience and the challenges they face each day. He next schedules a conference call with you and any key players that you want involved. After identifying important themes and specific messages you want to make sure get conveyed during your custom speaking engagements, Van draws from hours of material, years of experience and study, and the lessons from presenting to over 1,000 audiences. As a result of this process, you get Van’s best thinking, most powerful illustrations and relevant, actionable ideas.